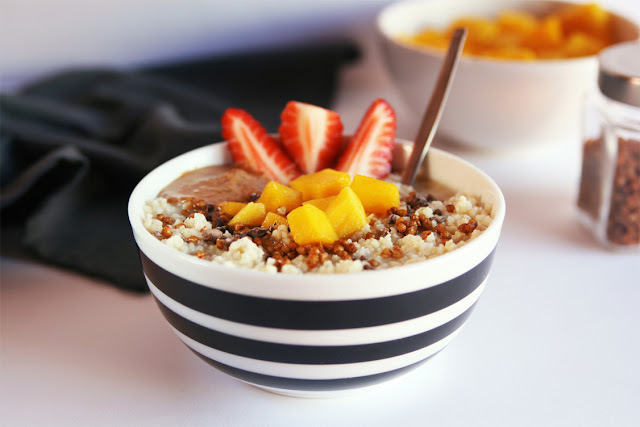 Here's an alternative to the classic oatmeal: tender millet porridge topped with cacao nibs, fresh fruit (I love it with chopped mango for a tropical touch) and my homemade caramelized buckwheat groats. The addition of buckwheat adds a nice crunchy and toasty note plus it couldn't be more easy and simple to make. 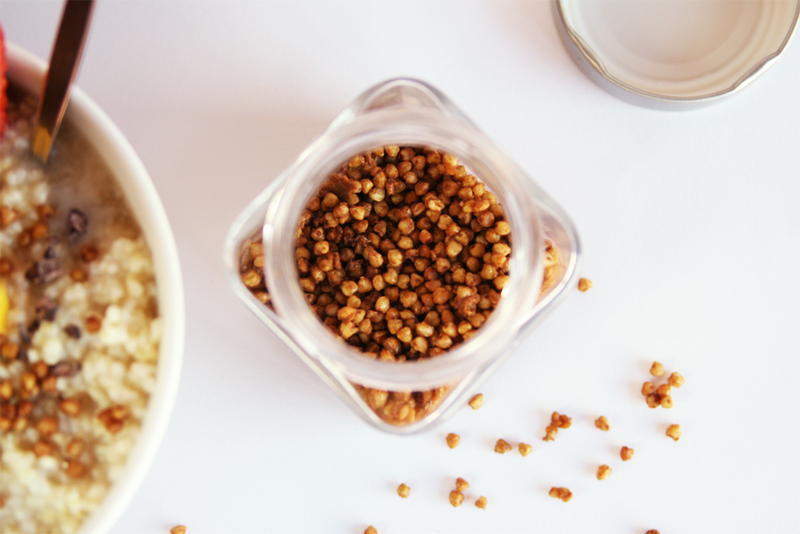 No need to buy expensive little bags of caramelized seeds, nuts or grains, you'll save some money if you buy the buckwheat in bulk and roast it or caramelize it at home. This gluten-free porridge definitely reminds me a lot of the classic spanish rice pudding, which I love, because of the cinnamon aroma and the texture of millet, but it can easily be adapted to your taste and add different spices or even a chocolate version by adding some cocoa powder or raw cacao. 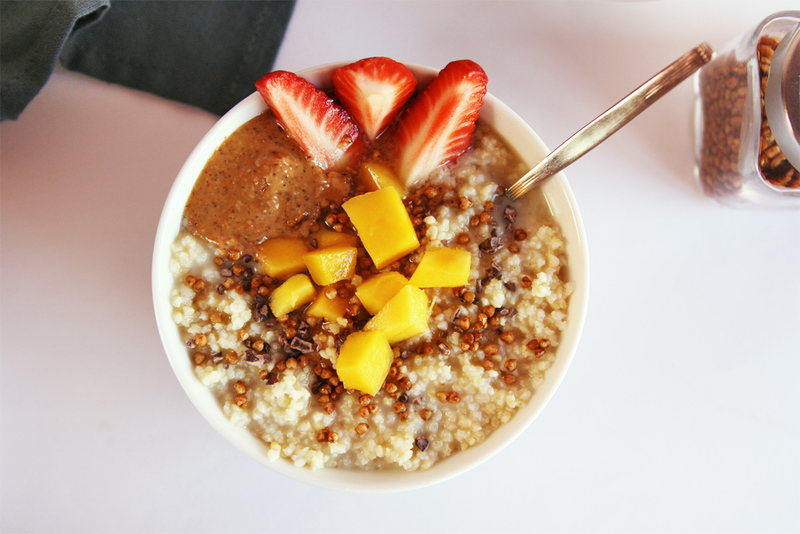 Don't forget to add a generous tablespoon of almond butter to your breakfast porridges, it takes everything to the next level and tastes so damn good! 1 1/4 cups almond milk or oat milk. 1 tablespoon pure maple syrup or agave syrup. 1 tablespoon natural almond butter. 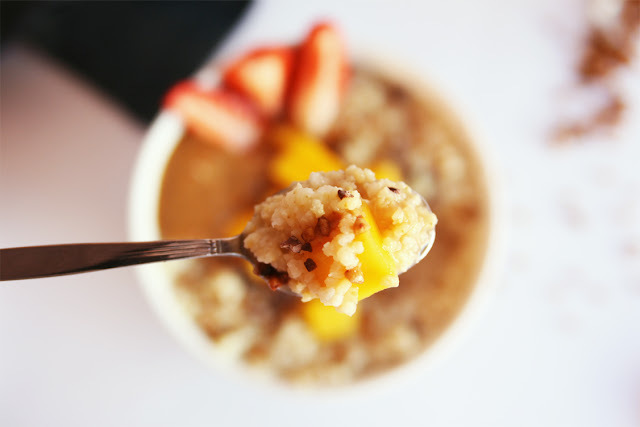 1/3 cup raw buckwheat groats. Coconut oil, for greasing the pan. In a medium saucepan over low heat combine milk, cinnamon stick and maple syrup. Once the milk starts to boil add in the millet and cook (keeping the temperature low) until tender and swollen, around 15 minutes. It is important to kee an eye on the temperature so the milk doesn't burn and the millet is not overcooked. 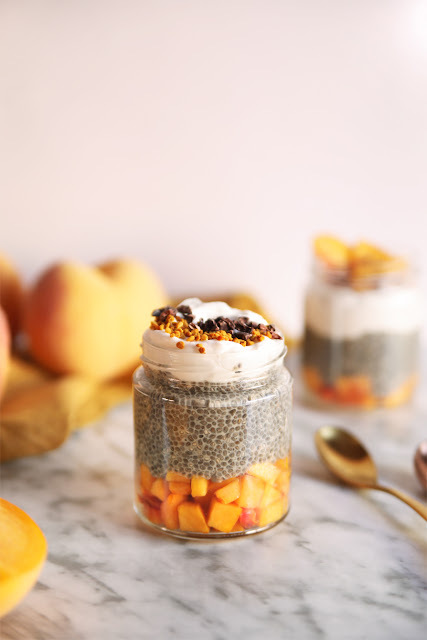 Serve when it is still warm topped with the diced mango, a tablespoon of almond butter, cacao nibs and buckwheat. For a less dense porridge you can add a bit more milk if desired. 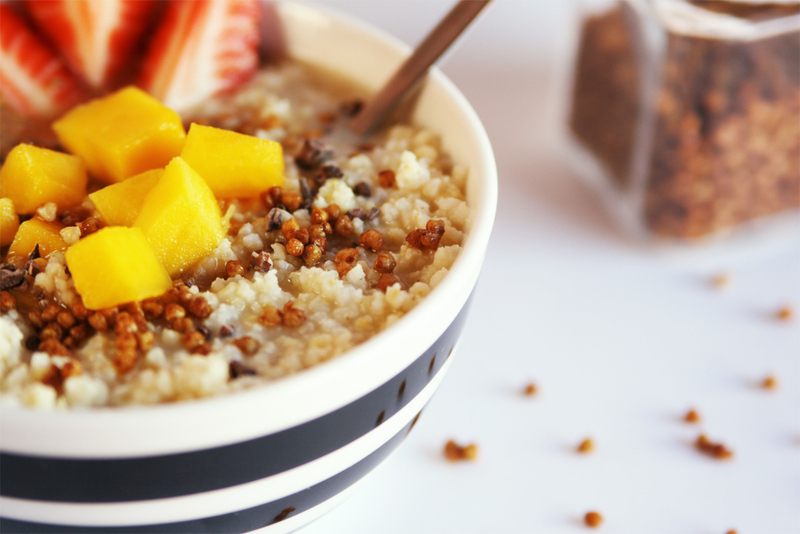 Soak the buckwheat overnight in a small bowl, rinse and drain well the next day. Grease a frying pan with coconut oil and once it's hot toast the buckwheat stirring frequently so it doesn't brown too quickly. 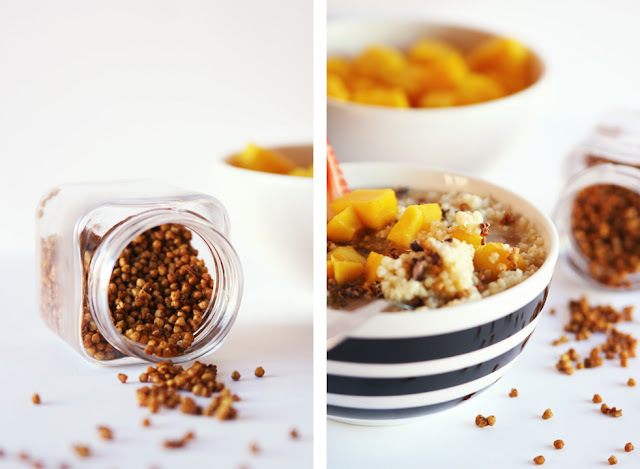 Once the buckwheat groats begin to get a golden color add in the coconut sugar, stirring constantly until crispy and caramelized. Transfer to a lined baking sheet and distribute on a single layer to prevent large clumps. Store in a clean jar with a lid at room temperature. 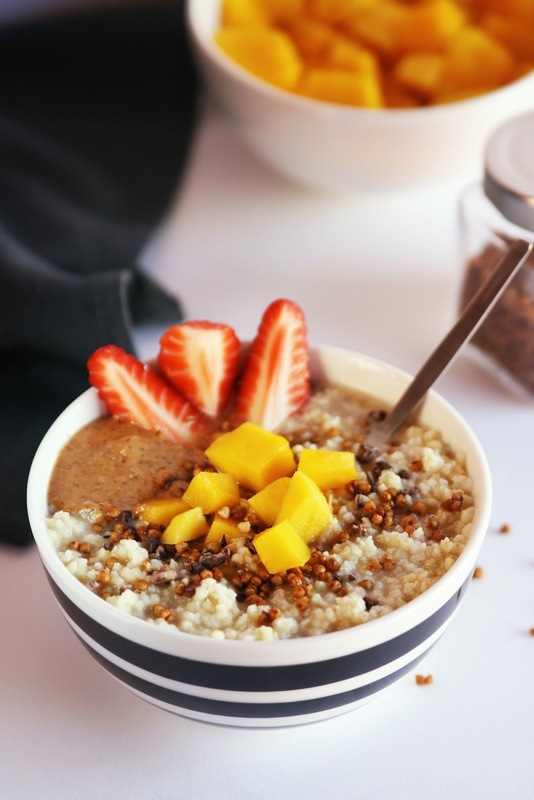 Ive still never tried millet it is on my list of things to try, this porridge sounds great especially with the caramelized buck wheat. This looks so hearty and satisfying! I LOVE the idea of caramelizing the buckwheat. Brilliant!